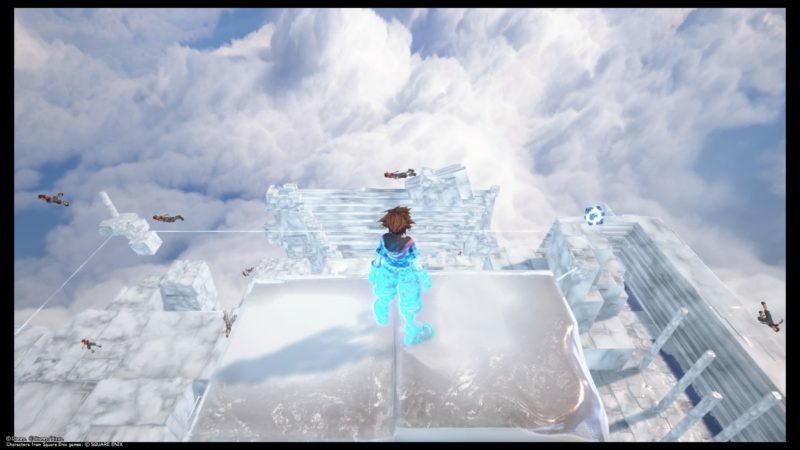 The Final World is a place between life and death in Kingdom Hearts 3. 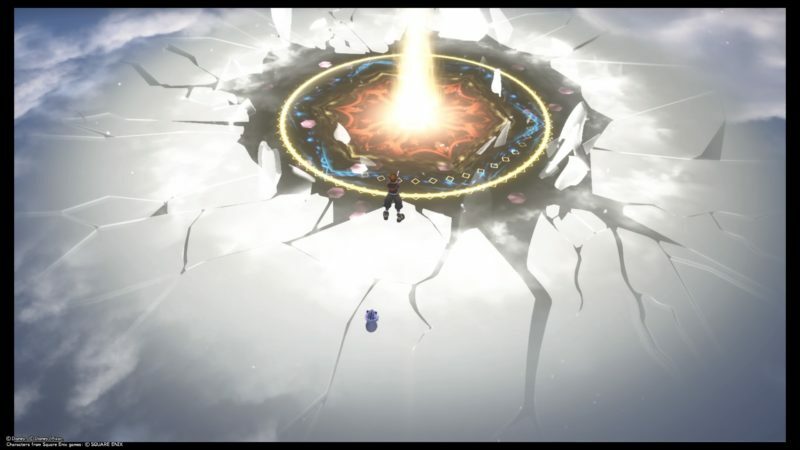 After Sora gets defeated by the swarm of Heartless at the Keyblade Graveyard, he ends up being stuck in the Final World. 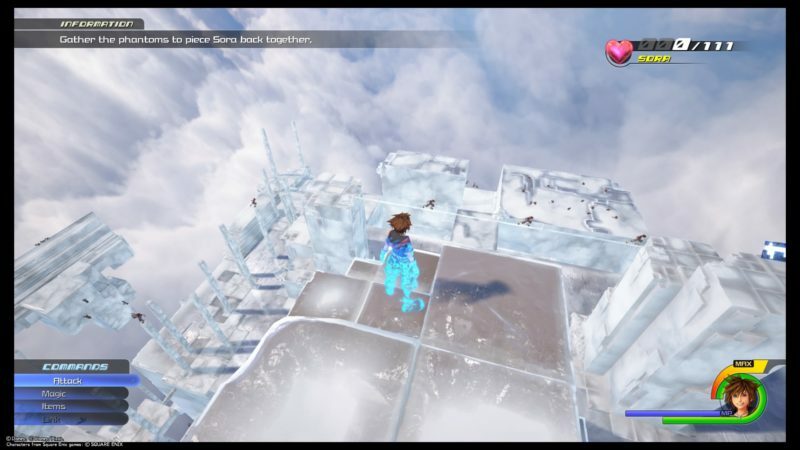 Here’s a walkthrough and guide of The Final World in KH3. 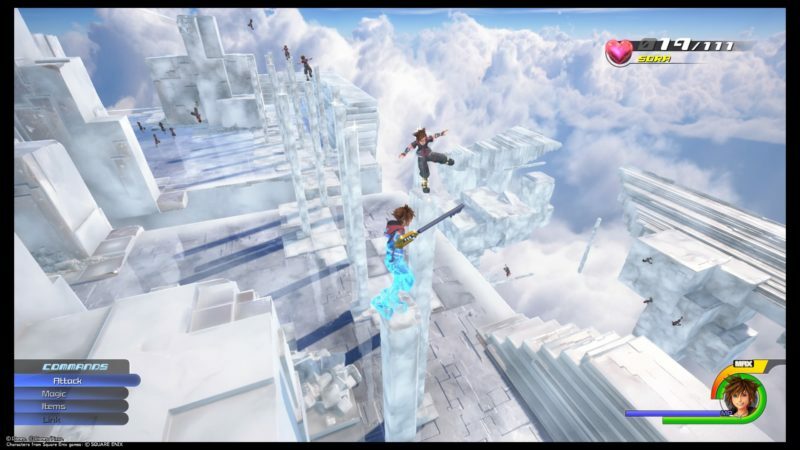 After the cutscenes, you will find yourself in control of Sora in a world without borders. It looks just like the place you battled the boss in a tutorial before you started the game (after choosing the desire and power). For now, just walk ahead until a cutscene appears. 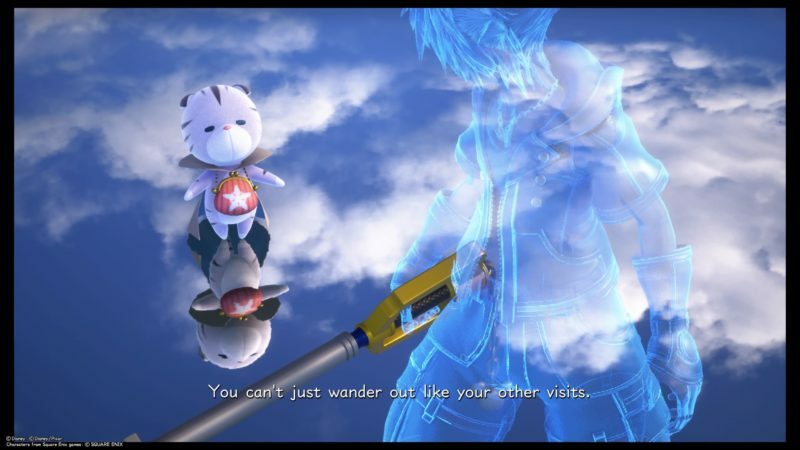 You will meet Chirithy who seems to be stuck here as well. 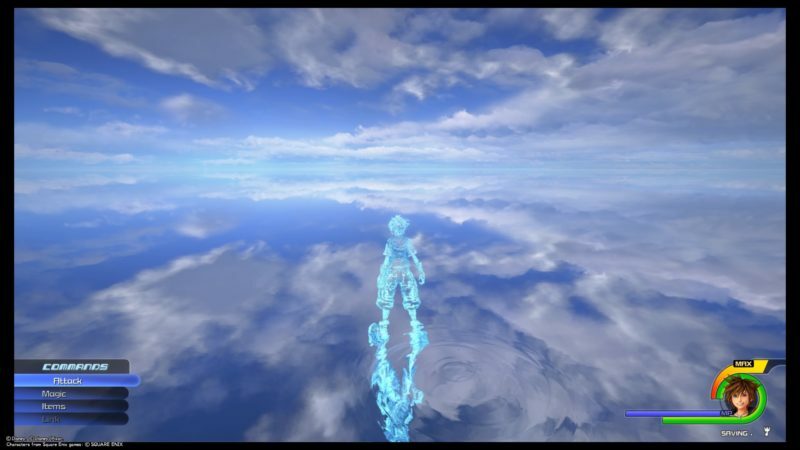 Your body is now transparent, which means pieces of your body are all around the place. 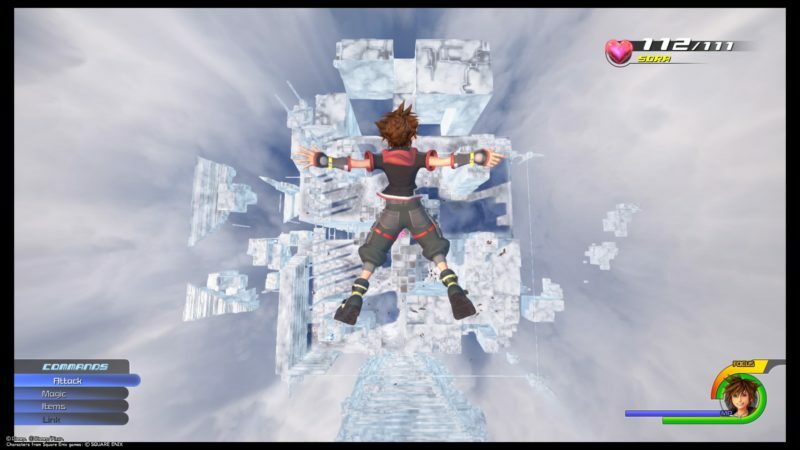 To go back to the world you came from, you need to find all of Sora’s pieces. 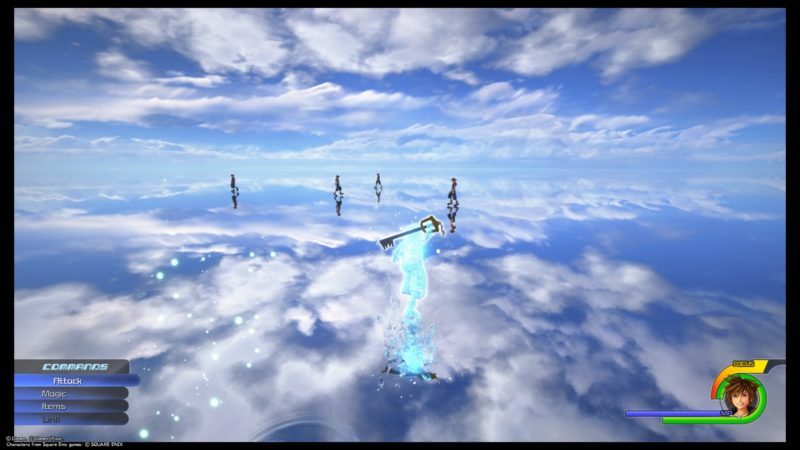 You will notice plenty of Soras walking and disappearing in the vicinity. In order to “gather them”, just collide with them before they disappear. 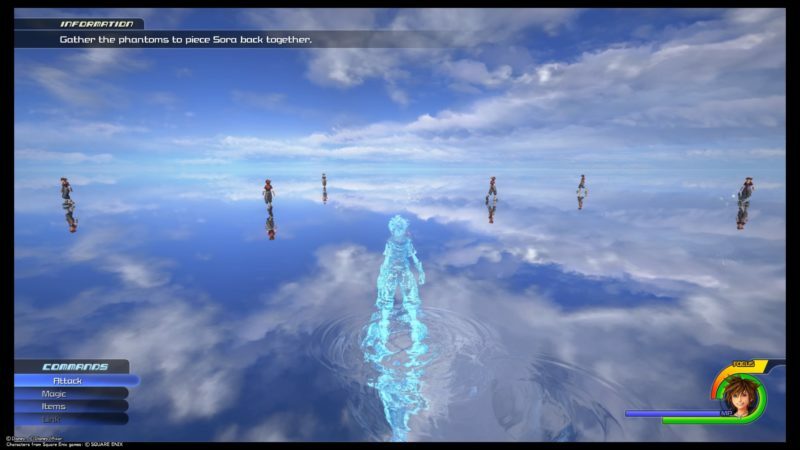 However, before you do that, you can interact with the stars around the area. They are also like Sora, except they failed to retain the shape of their body. 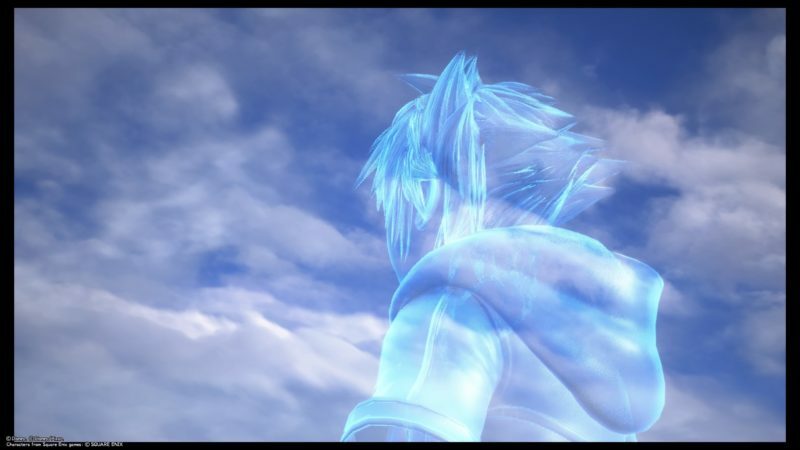 Sora is kept this way because of someone else’s power (Kairi). 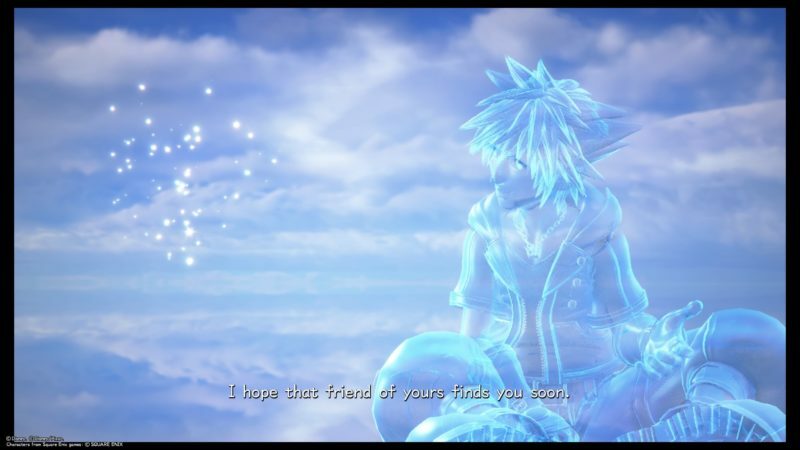 One of the stars you interact with will be Namine. Other stars may just be people’s hearts who don’t remember who they are. Once you’ve done interacting, collect all of the phantoms. After collecting the phantoms, go to the pink ball thingy in the middle. You will then find yourself on a unique structure. This time, you’ll see even more of Soras all over the place. 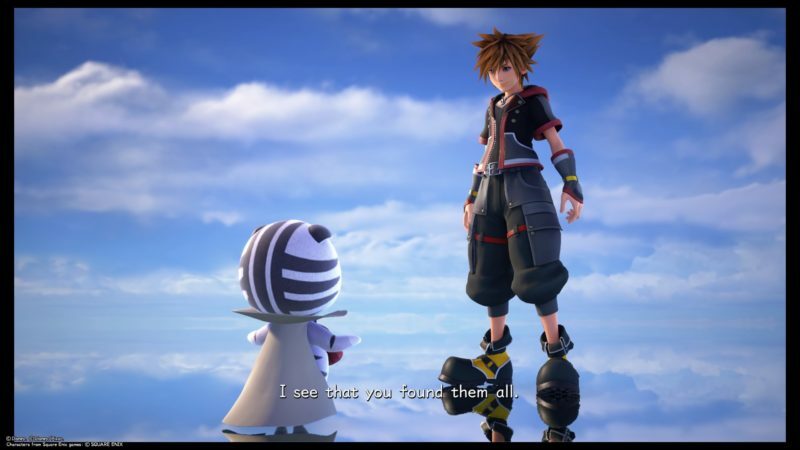 You need to collect 111 Sora phantoms around the area. Luckily, there are much more than 111 of them, so it should be easier than it looks. 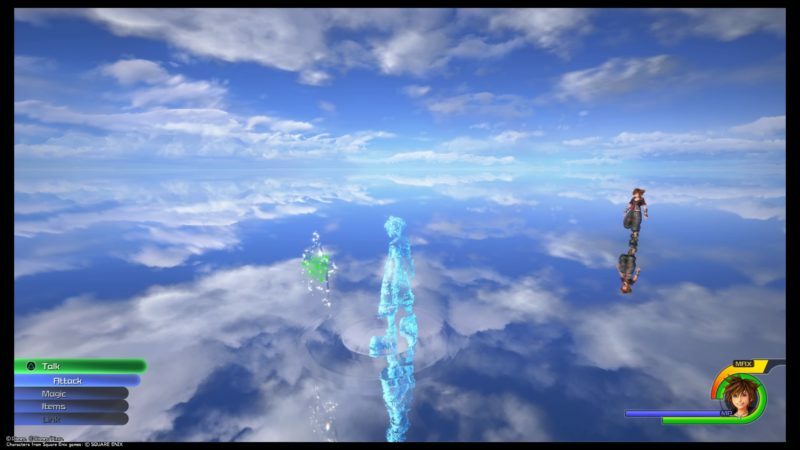 These phantoms kinda represent Sora’s movements in the game. For e.g. some of the phantoms are spinning around the pole. These are all of the movements you use. If you happen to fall down from the building, you will appear from the top again. So don’t worry about falling down. If you wish to rotate the entire building, you need to hit the “cube” thingy which you can find on the building itself. After you’re done collecting the number of phantoms required (111), you can get back to the world. Just interact with this pink ball again to go back to the world. 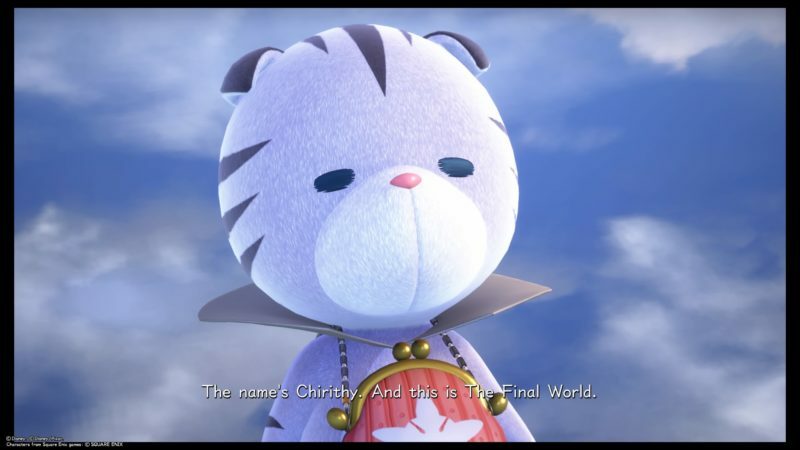 A cutscene will then load and Chirithy appears again. 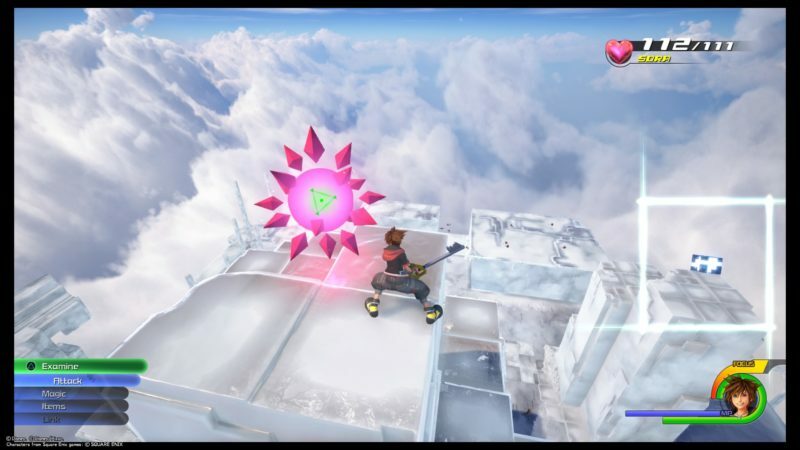 Sora then creates a portal using his keyblade. 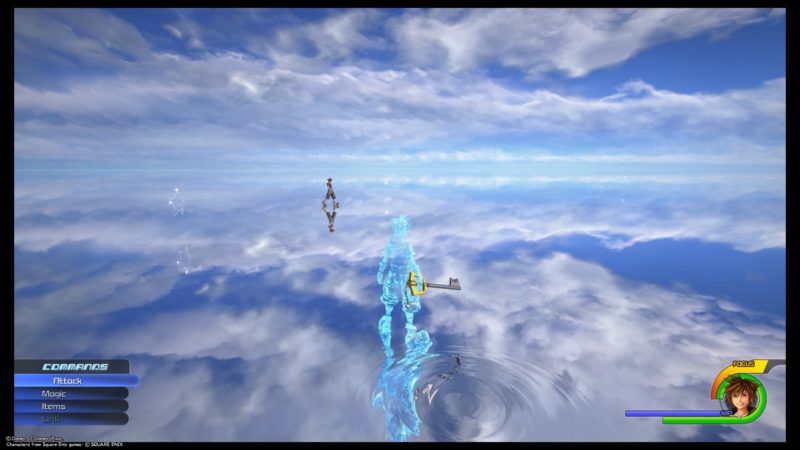 And you will now be transported to Olympus to find the fallen guardians of light. 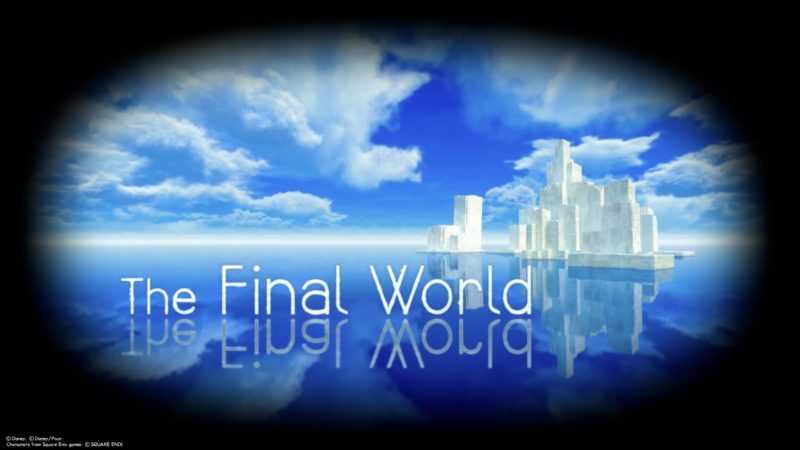 That’s it for this Final World. At least for now. 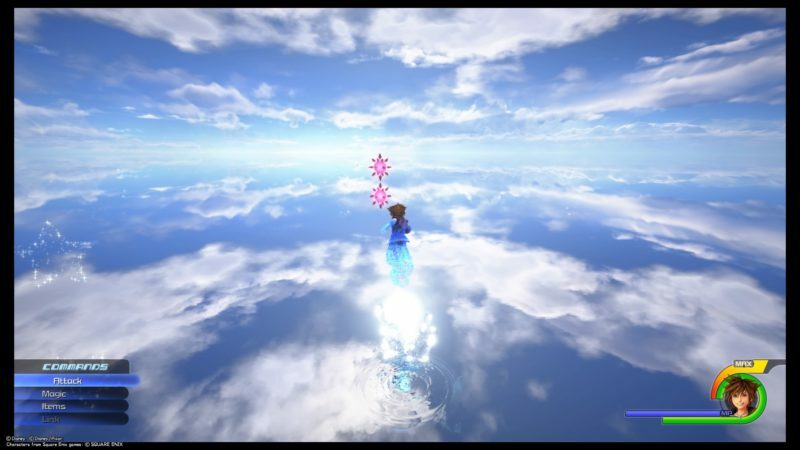 The 2nd star that is waiting on someone….it has to be Aerith. No. If you play Kingdom Hearts Union Cross(the mobile game), you will heavily suspect it to be Strelitzia, Marluxia’s missing sister. 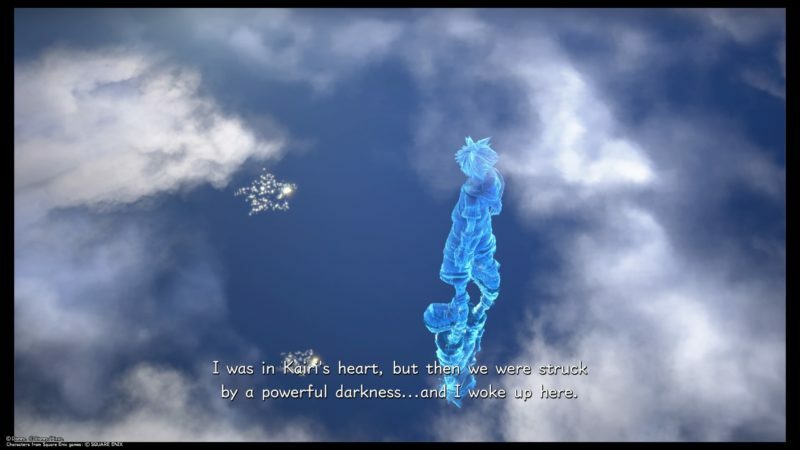 Do mention that in the unique structure portion, there is rewards to be had for staying and gathering 222 and 333 sora fragments before it forces a cutscene.